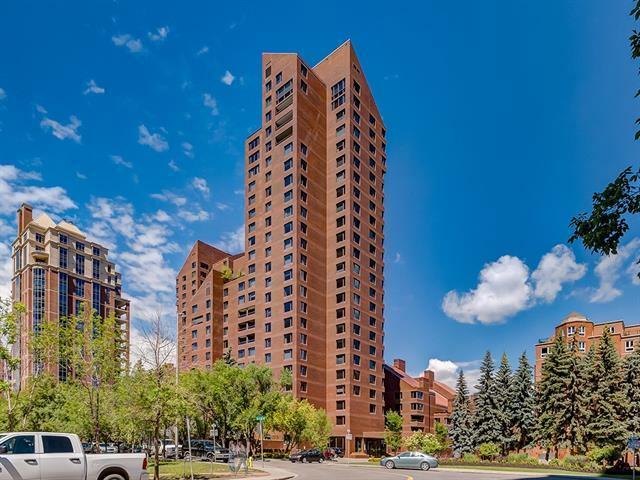 Welcome to 1760+ ft2 of maintenance-free downtown living - backing on to Prince's Island Park in the fabulous Eau Claire Estates! With east, south & west-facing windows, this unit has views of the surrounding gardens, parks & downtown lights. One of the larger 2-bedroom units in the complex, there is an expansiveness here - each room a little larger, just a little more luxurious! 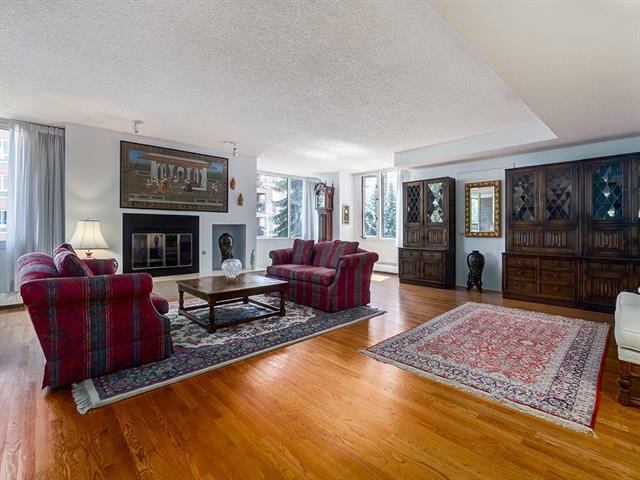 Grand open living room/dining room - great for entertaining! - with wall of windows, fireplace & patio doors to covered balcony. Larger kitchen with breakfast nook. Master has spacious ensuite with jacuzzi tub. 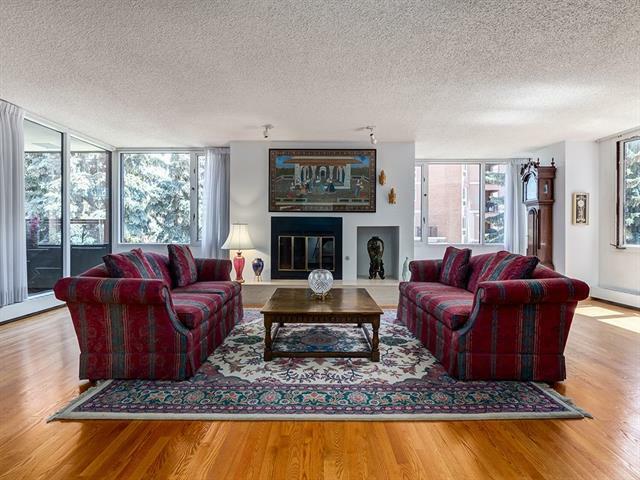 Immaculate hardwood throughout. 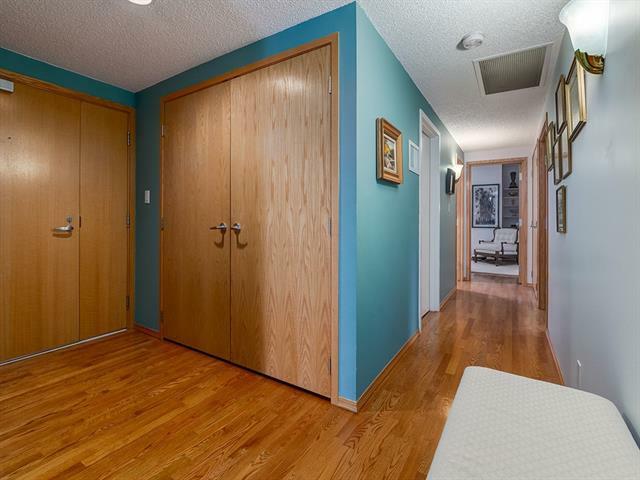 With a WALK-SCORE of 96, this is a great location in the heart of Calgary - close to shopping, river walking/cycle paths, restaurants, movie theatres, etc. Condo fees include 24-hr concierge & security, heat, electricity, cable, insurance, water & sewer, indoor pool & hot tub, gym, billiards room, car wash, beautifully landscaped outdoor patios. It's like living in a fine hotel!